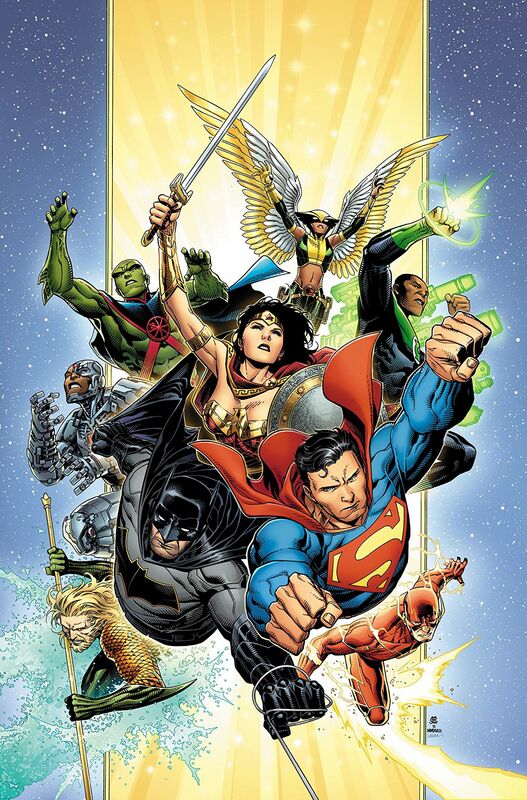 In the wake of the invasion by The Dark Multiverse, the destruction of The Source Wall and the coming of The Omega Titans, The Justice League have expanded their ranks. Though a core team still exists, most of The World’s Finest Heroes have been recruited to act in a reserve capacity to face those threats even greater than The League at large. One of those threats – six teams of genetically altered prehistoric humans, dubbed Neoanderthals – have taken the world by storm, attacking by land, sea and air. Worse yet, some new being – a Totality containing all of the power of The Source Wall – is coming right for Earth. All of this news comes in the face of an announcement by The Green Lanterns that, by their best estimates, the multiverse has less than a year before it collapses completely! There is only one group that can stop the coming disaster. And it isn’t the Justice League. Not if Lex Luthor has anything to say about it…. “Epic” is the only word that adequately describes Justice League #1. I’m using the word in its classical definition, meaning a long poem detailing a series of heroic exploits. Though the more modern definition referring to something impressive also applies. Justice League #1 is the capstone of the tale Scott Snyder has been spinning for most of the past year in Dark Nights: Metal and No Justice. It’s too early to say, but based on this first issue we may be treated to the greatest Justice League comic since Grant Morrison’s legendary JLA run from nearly 20 years ago. It’s hard to put a finger on precisely why Snyder’s story resonates as well as it does, but two noteworthy aspects of the comic are its treatment of Martian Manhunter and the clever ways in which Snyder utilizes classic elements of DC Comics mythology to create something new. For instance, the opening sequence describes the newly-built Hall of Justice and how it has a museum that is open to the public but the portion of the building utilized by The Justice League is telepathically hidden behind a door that is visible only to those people Martian Manhunter allows to see it. Likewise, we learn that the basic design of The Hall of Justice was inspired by a Martian symbol that J’onn J’onzz found fitting in describing their goals. While not literally translating as “justice”, the symbol refers to an effort to progress beyond the natural laws regarding what is or is not possible and impose a higher standard upon reality. All of this helps to establish the power and influence of a character long associated with The Justice League in the comics, who was largely neglected by The New 52 reboot seven years ago. The artists treat this grand story with the reverence it deserves. Jim Cheung’s character designs are amazing and the action of the various fight sequences flows naturally from panel to panel. Mark Morales’s inks properly enhance the original pencils without obscuring them. And the colors by Tomeu Morey are brilliant. 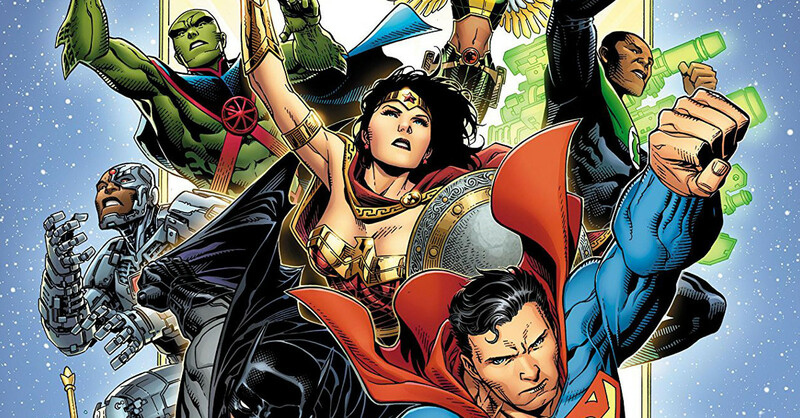 If you haven’t been reading Justice League, this is the perfect time to start. Despite building off of all of Scott Snyder’s more recent works, this book is surprisingly friendly to new readers. It is truly epic in every sense of the word. 9/10 Justice League #1 releases on June 6, 2018!